It has become a sport to stand in the blast zone apparently. Is this the first fatality?? Not sure you all agree with my point of view, but I won't be flying with any of those three carriers any time soon. Reading about the Pan Am experience, I'm so happy to have flown with Pan Am before they went out of business... that was back in July of 1987 between Oslo and Miami, roundtrip. Clipper Mandarin was the name of the aircraft - as far as I remember, it was a B747-100SP.... (could be wrong off course). According to plane spotters.net, there was no B747 by the name Clipper Madarin... it was the name on a Douglas DC8.... so my memory is at fault here. I would love to hear if any of you others here have ever flown with Pan Am and what you remember? According to them, Singapore had strong bonds with Norway with around 2000 Norwegians living and working in Singapore. Additionally, a new route like this will be a giant asset when it comes to transport of fresh seafood from Norway (something Thai Airways is currently making great profits of with their TG955 from Oslo to Bangkok). Both budget carriers and "normal carriers" are sought. The most probable solution is to give such a route to their national carrier, Singapore Airlines, which will also receive a lot of new A350XWB aircrafts over the next years. Singapore Airlines already flies both to Stockholm and Copenhagen at the moment. Another option is Norwegian which already stops by Singapore from London. Norwegian has already been granted a landing slot for a Singapore - Oslo and Singapore - Copenhagen. The reason why Norwegian has not opened the route yet is that they are not allowed to fly the corridor over Russia. A airline agreement of 1956 between the Scandinavian countries and Russia, gives only ONE company access to the "Sibirian corridor", and that is SAS. Budget carrier SCOOT is also a possible alternative for a route like this. When it comes to Norwegian AVINOR, they hopes to make a deal with Singapore Airlines. Personally, I would love to see Singapore Airlines open a route between Oslo and Singapore with an Airbus 350XWB. 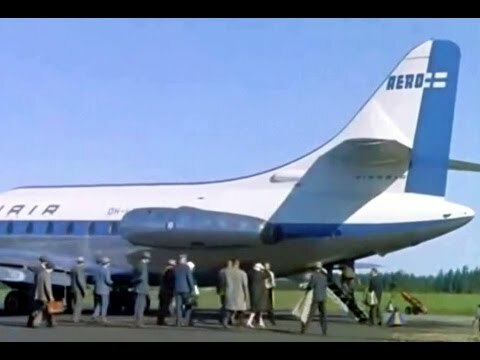 What flying was like in the 60's - an enjoyable look back in this youtube video shot on board Pan American Airways.... Boeing 707 Jet Clipper! "Six and a Half Magic Hours" (1958) Table cloths, full size bathrooms and smoking on the plane! Old story by now, but Widerøe Airlines of Norway will soon receive their jets - replacing some of their propeller-planes. MIAMI — Brazilian manufacturer, Embraer, announced the delivery of its first E190-E2 in April 2018. Widerøe, the largest regional carrier operating in the Nordic countries, is the launch customer to receive the newest, upgraded version of the prosperous E-Jet family of aircraft. Brazilian manufacturer, Embraer, announced the delivery of the first Embraer E190-E2 for April 2018. Widerøe will be the first to operate the aircraft. This might not be "news" in any way, but I still thought it was a pretty cool safety video... featuring Zach King, an amazing illusionist with many videos all over the WWW. What do you think of this safety video? Here is another really cool video from the past: clearly showing how flying was back then.... lots of other cool things too in this one. I bet Sterkoder might like many parts of this 7 minute long film too. Film by Fennada Juniorin. Nice mini-travelogue featuring a brand new beautiful Finnair SE-210 Caravelle. Also included are many neat European locales, including London, Paris, Hamburg, Amsterdam-Schiphol, etc. Some nice vintage buses, trolleys, streetcars too. So many lists, so many rankings - I guess what is important is how we all (the users) enjoy the airports. For me, Singapore Changi has been a favourite for a long time, while Trondheim Værnes is far down at the low end of the scale. That's not a good day at work. I remember another story from last year or two years ago, a man smoking an e-cigarette in a public toilet caused a small grocery store to be evacuated. Apparently, someone thought the toilet was on fire. 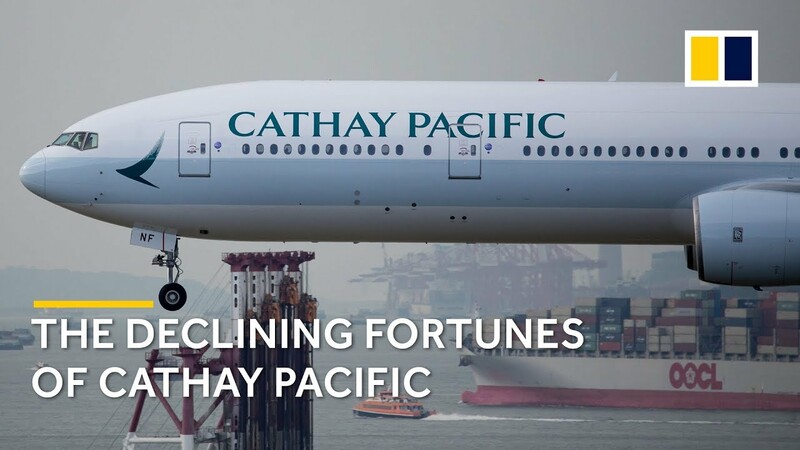 Cathay Pacific is apparently struggling to find a good - and quick - way towards profitability. Dyring my last visit to Hong Kong, and my many days on that airport, I saw them as a major operator. There were a lot of CP aircrafts, and many of them A350 or B787 - relatively new planes. My only experience in flying with CP, is limited - I think I have flown them once or twice in my life, but can't remember when and/or where. On an assignment, I was asked to study details of cabin configuration and state my opinion. During this study, and upon making a report on the subject, I came across several interesting videos. I would love to hear what you all thinks, so that I may add some other opinions to my final report on the subject.